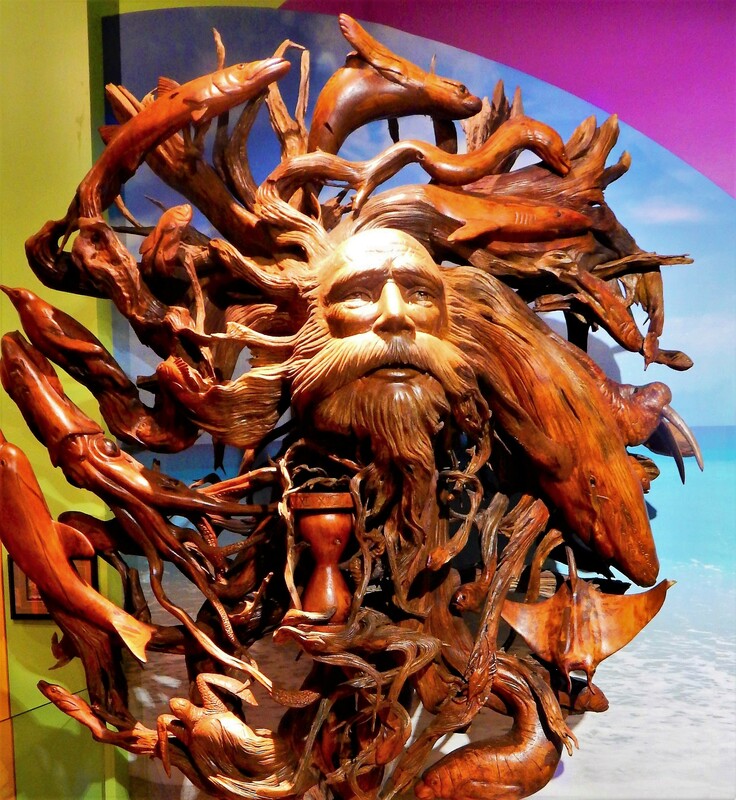 God of the Sea: Tree Carving. This carving of the ‘God of the Sea’ holding court over his domain was allegedly made by using a single piece of wood. Candy portrait of Justin Bieber. This entry was posted in Photography. Tagged Baltimore, COB, Weekly Photo Challenge. That it is. I think the sculptor’s name is Paul Baliker. He has some interesting pieces. That’s so cool and fascinating. Very creative art work. 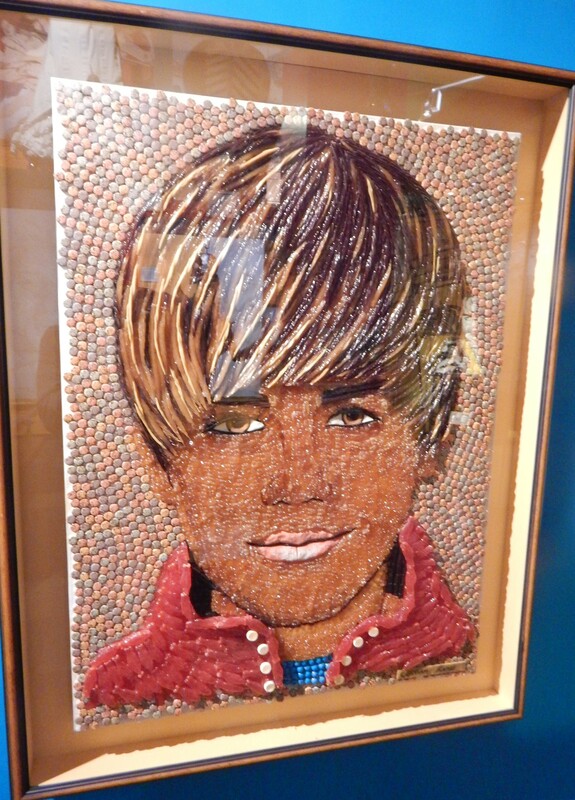 Somehow it is fitting that JB’s portrait be done in candy. It’s mind boggling to think about the hours and talent that went into the Sea God.